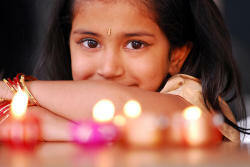 Diwali is celebrated by Hindus in India and all around the world in October or November. 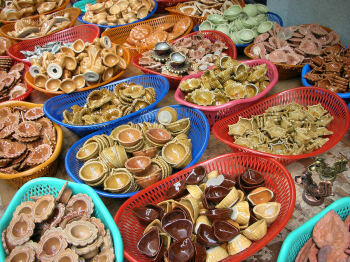 It is the Hindu New Year and is either a 3-day or 5-day holiday depending on where you come from. Diwali will next be celebrated on 27th October 2019. It is a very exciting and colourful holiday. Homes are cleaned to welcome the New Year and windows are opened so that the Hindu goddess of wealth, Lakshmi, can enter. 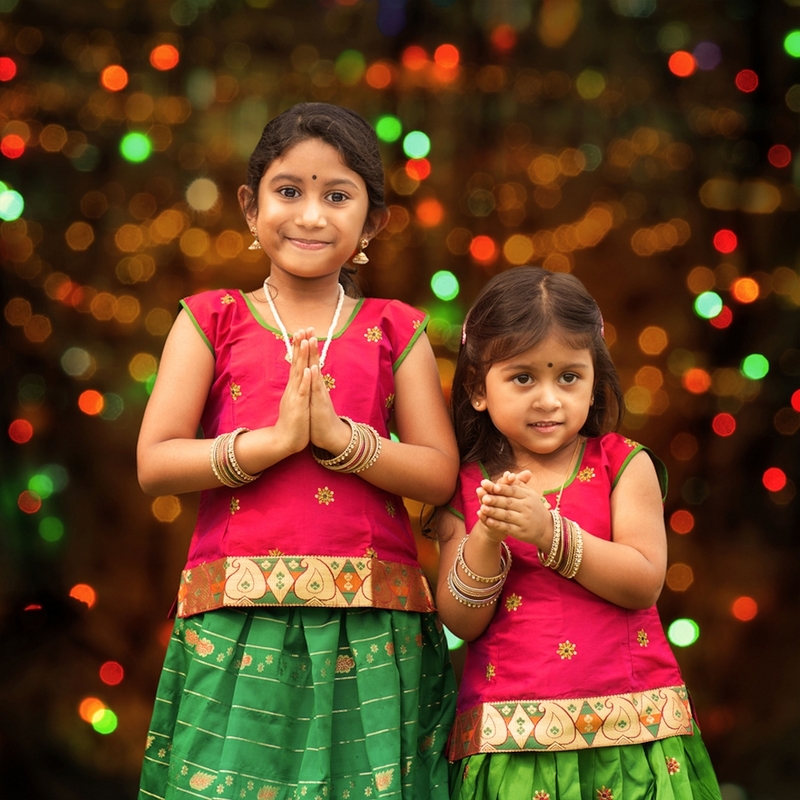 It is believed that she cannot enter a house which is not lit up, so every household burns special Diwali clay lamps (diyas) to light the way for the goddess, which is why the holiday is also known as the Festival of Lights. Children have a holiday from school. Presents are given and delicious holiday food is prepared and exchanged. New clothes and jewellery are worn. Parties are held, and dice and card games are played. Fireworks and firecrackers are set off to warn off evil spirits, so it is a noisy holiday too! The last day of the holiday is a special day for brothers and sisters called Bhaiya-Dooj (or Bhaidooj, or Bhai Dooj). Brothers give special presents to their sisters, who cook for them and look after them. You'll find more about Bhaiya-Dooj below. 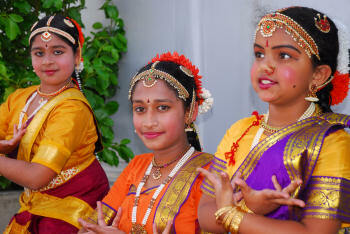 If you are interested in Diwali, why not find out more about India too and explore our India for Kids theme page?